Hedge trimmers can help you save a lot of time and energy if you have any hedging, pruning, or cutting to do. 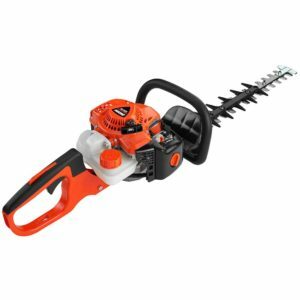 The best hedge trimmer for you will depend on how much work there is to do and how much you are willing to spend. 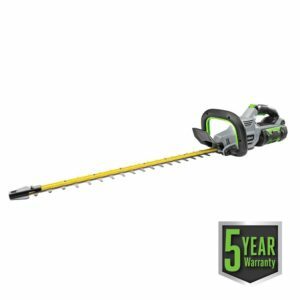 Hedge trimmers can be divided up into three different types depending on their power source – corded electric models, battery powered cordless electric models, and gas-powered units. Electric models are the most common and also the cheapest. They are quiet, lightweight, and easy to handle. However, they are limited in range to the length of an extension cord and you also risk cutting that cord while in use as well. Current cordless models use lithium-ion batteries to power the trimmer. This adds a bit of weight and cost compared to corded electric models. They provide greater freedom of range by not having to worry about an extension cord, but you are limited in run time to how long the battery keeps its charge which is normally between 30-60 minutes. They are the least powerful of all three types. Hedge trimmers powered by a gas engine are the heaviest and most expensive. They also are the loudest and you have to deal with the exhaust sometimes blowing in your face. However, they give you the most power of all three types and allow you to roam the full extent of your property. If you are a home owner where your hedge or bushes you need to trim are within reach of an outlet then your best bet is to go with an electric model. If you have a larger property where it would be difficult to reach with extension cords then you should go with a cordless or gas model. For professional or commercial purposes you might want to consider a gas powered version as well.